This week I decided to make use of the TV & Radio subscription service provided by University of Brighton; BoB. This website has hundreds of clips from UK TV and I stumbled upon an episode of Channel 4’s Dispaches from January of this year entitled: ‘Undercover: Britain’s Cheap Clothes.’ The trailer of which can be found above. In this episode of dispaches, Channel 4 send in a reporter undercover to work within some factories in Leicester that provide clothes for big high street brands such as River Island, Boohoo and Missguided. They soon discovered that the workers within these factories were being paid less than half of the national minimum wage. It was also discovered that health and safety violations within these factories are rife, with hot machinery surrounded by flammable materials. There was even footage of a manager smoking on the factory floor, tipping ash near the textiles. I’m fairly aware of big high street brands using suppliers that use sweatshops in developing countries. I know the difficulties in monitoring these suppliers as human rights standards in developing countries can be different from our own. However, I have not heard a lot about these sorts of violations happening here within the UK. In the documentary, it notes that target audiences of these brands demand fast fashion at low prices. Of course in terms of law, only the state can make a human rights violation, rather than the business themselves. However, I do find it incredible that big brands can pay very little for their products and not suspect that they may be involved in human rights violations. The unfortunate truth is that their priority is likely profit and that they don’t care much about anything else. Within the documentary, it turned out these brands had used these factories previously but then cut ties after an audit found less than ideal conditions. However, even after deciding to no longer use these factories, the companies still recieved garments from them as unfortunately their suppliers decided to subcontract to the factories without the brand’s knowledge. As I’ve said in a previous post, things can get complex when suppliers sub contract work to factories without the buyer’s knowledge. But it still doesn’t seem that difficult to put in place a more thorough system. It currently feels like the only way to stop violations like this happening is for consumers to protest with their pocket; by not purchasing cheap, fast fashion that isn’t ethically consious. As an informed consumer I hope to spead the word and to make people think twice about what they are buying, but I can’t help but feel that it is incredibly difficult to get through to certain people. Especially with current pressures put upon young people, derived from traditional and social media to always look a certain way. It shouldn’t be up to the consumer, it really should be down to the businesses themselves to incorporate morals into their business plan. Seeing though as they are only concerned with money, and in terms of the law, the government should do far more to monitor and audit where our garments are coming from. We need law that inpliments more frequent auditing, as it seems that currently these audits only happen once a year. A whole year of clothing that violates basic human rights could be produced before it is stopped. Suppliers should be investigated thoroughly for evidence of subcontracting and it’s down to the state to impliment this. This week I’m feeling a little bit uninspired about what to write about, so I thought I would go back to a resource I have used previously, The Business and Human Rights Resource centre. I decided I would have a browse of the website and try and find another topic that I don’t know a lot about. The article entitled ‘Argentina activist missing after indigenous people evicted from Benetton land’ from the 8th of August 2017 is definitely a news story that passed me by. 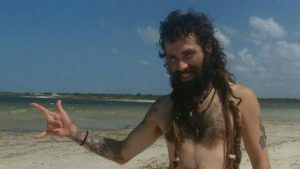 The article talks about Santiago Maldonado, an activist who went missing following a protest over the use of land in Argentina by Italian clothing company Benetton. Benetton currently own a huge plot of land in Patagonia that is used to keep sheep that produce wool for their clothing. Mapuche Indians who are indigenous to this area were evicted from here following a protest, and shortly after that Maldonado went missing. At first when I found this article, ideas of conspiracy sparked. Sounds rather suspicious that an activist would go missing while security defending Benetton’s land were in the process of eviction. Did they have some involvement with his disappearance? As this article is now three months old, I thought I would do a follow up search to see if Maldonado has been found. Santiago Maldonado’s body was found in a river 78 days after the original event. Members of his family confirmed it to be him on October 20th 2017. It was found in an autopsy that he had no external injuries and that he drowned. Although there are many theories surrounding what really happened to Maldonado that day, in my opinion (and the current opinion of the court) I believe that he most likely died while trying to escape the protest. Many protesters crossed the Chubut river when escaping and it has been noted that Maldonado could not swim. However, I am still suspicious, what could have been happening that was so terrible that would have caused Maldonado, a person unable to swim to see the river as his only option to safety? I would love to spend some more time and delve more deeply into this case. Obviously, if it turns out that Maldonado was killed unlawfully by forces governed by the state, then this would be without a doubt a huge human rights violation. However, with all that aside, this case touches on an important human rights topic; who has the right to this land owned by Benetton? Benetton may in a legal sphere own this land, however the Mapuches claim the land as ancestral territory. Were they evicted from here unlawfully in the first place? There is certainly lots to think about when considering this case. This week, I have been quite busy so decided to watch another TED talk. It’s a quick and easy way to find interesting topics and take them in. This TED talk was from techno-sociologist Zeynep Tufekci, and was all about the data we give away to big online corporations such as Facebook, Google and Amazon. Tufekci discussed how companies such as Facebook use algorithms to make us think and view things a certain way. For example, most people are aware that if you are browsing a website for a new dress, that dress will then follow you around on Facebook and other websites in the form of targeted ads. The interesting thing that Tufecki was warning about is the power that algorithms hold. If you are constantly feeding a company data about yourself, everything from your profile information, to the conversations you have over the platform, they can really build up a picture of the kind of person you are. Something she said that truly struck me was an example she gave of algorithms being able to detect when somebody with bi-polar disorder is about to go into a manic phase (where they are likely to act recklessly) and targeting this person with adverts for plane tickets. Now, I feel as though we are living in an interesting time in terms of human rights online. Obviously when the main human rights based declarations were written, the internet didn’t exist. Tufekci made the point that the people developing algorithms that can discover even the most nuanced parts of your personality may have the best intentions. However, we cannot expect someone, be it big business or even the state, not to exploit this information at some point. She spoke a lot about an experiment Facebook did which involved people declaring that they had voted in the US election. It was discovered that people were far more likely to vote if that little promt to get you to declare this suggested that your friends had also done so. Could states exploit information on us in order to influence our voting decisions in the future? Surely the power behind algorithms could be used to break article 2 of the Universal Declaration of Human Rights? If states could use algorithms to determine what kind of voter someone was, surely they could then target ads to that person to maybe sway their view? It’s all so interesting! This week, this piece in The Guardian caught my eye as such a simple and brazen breach of human rights law. The article is about British landlord Fergus Wilson who has discriminated against ‘coloured’ tenants occupying his properties. My first thought that occurred as I was reading this article is that it would be useful and interesting to delve into exactly what rights we have in terms of human rights law in this country. I’m under the impression that we have pretty good human rights protection here in the UK, but I must say I cannot be sure on the details of these laws. The article mentioned the ‘Equality and Human Rights Commission’ which is a public body that operated in England and Wales. I visited their site to see exactly what laws protect us here in the UK. From looking at their website, I have discovered that The Human Rights Act 1998 incorporates the European Convention for the Protection of Human Rights and Fundamental Freedoms into domestic British law. This convention is one of four human rights declarations we have been looking at in class. I was curious to locate exactly what section of UK human rights law Fergus Wilson has violated with his discriminatory behaviour. Article 14 of the European convention covers protection from discrimination in all areas of life, which would in this case include racial discrimination in the case of housing. This landlord’s dispute is one of the most obvious cases of a human rights breech I’ve seen in the UK in a long time. Although I’m aware that human rights violations occur all the time, they do not seem to occur as often in more developed countries such as the UK, as our human rights laws and prosecution process are a lot stronger than in less developed states. It amazes me that Mr Wilson still possesses backwards attitudes that would have even been considered outrageous 20 years ago. I’m obviously extremely pleased with the court ruling, although I feel that a stricter outcome would have been more suitable. There’s nothing stopping him from continuing his discriminatory attitudes when selecting tenants for his properties, he just may be a little more subtle next time.